Online reviews are one of the main influencers of hotel purchase decisions. This study performs an analysis of reviews extracted from well-known online review sources in combination with hotel sales data and concludes that ratings differ according to the language of reviews. Data science tools have been applied to English, Spanish, and Portuguese reviews, revealing that reviews written in English achieve higher ratings when compared with Spanish or Portuguese reviews. A new visualization method is proposed to quickly depict the sentiment of main topics mentioned in reviews, clearly revealing that not all customers are influenced by reviews in the same way or look for the same things in a hotel. 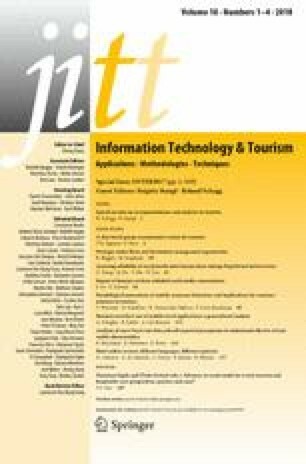 This study has great implications for online reviews research and for hotel management as it clearly shows that language can be used to identify preferences of guests from different origins and because it gives hoteliers more information on how to provide a better service according to guests’ cultural background.